The following is a detailed breakdown, not only of what most of us know in 2013 when it comes to online and social media marketing (Facebook, Twitter, etc. ), but how it can all come together using the technology of #hashtags and ensuring those status updates, photos and videos related to our business are doing all they can in helping get the word out about our business product or service. Working with TravelGayCanada.com, our company has recently done an online, social media promotion of the website, www.rainbowhalifax.com, with the promotional tagline "Open arms welcome you to Halifax, Nova Scotia, a breath of fresh air on Canada's East Coast where vibrant LGBT culture is woven into every aspect of the city." What's unique about this promotion is how we began... rather than posting this on some of the most common social media pages and profiles first, we instead posted this first on the Scoop.it page dedicated to LGBT travel and tourism in Canada, http://www.scoop.it/t/lgbt-canada. 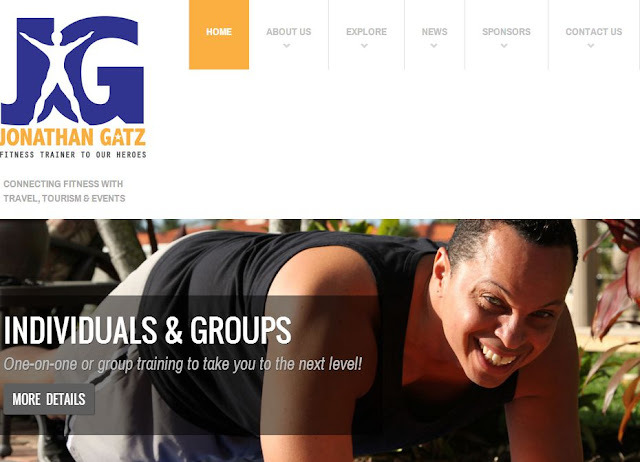 We then "rescooped" this page onto our 2nd Scoop.it page dedicated to LGBT Destinations and Tourism, found at http://www.scoop.it/t/lgbt-destinations. 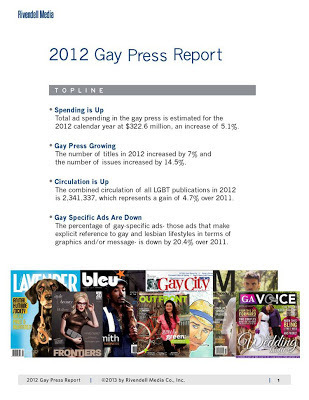 The numbers are in for 2012: latest Gay Press Report reveals ad spending in gay press at $322.6 million- 5.1% increase. Just in time for Gay Pride, Rivendell Media has released the annual Gay Press Report revealing that spending in the Gay Press for 2012 is at $322.6 million, up 5.1% from 2011 and showing The Gay Press has fully recovered from the Great Recession. Spending and circulation in the Gay Press is up for 2012- bucking the mainstream press. Actual spending is up just over 5% from 2011 to $322.6 Million. Circulation of LGBT media is also up almost 5%.